It may seem a bit egotistical for someone to brand themselves as a saint, but for Annie Clark--stage name St. Vincent--such a lordly moniker is totally justified. Though Clark actually took her name from a Nick Cage song and has no desire to canonize herself (that's a job for music writers! ), her name is fitting because she really is a patron saint of modern pop music. Clark has a rep as a guitar hero, and though the may have honed her chops during three years of study at the prestigious Berklee College of Music, she's much more than a mere virtuoso. Certainly, her otherworldly guitar playing is impressive, but few virtuosos ever write songs as good as hers. Her art-damaged brand of indie rock draws from many artistic wells, her lyrics are poetic and thoughtfully composed, her melodies are catchy, and her riffs are awesome. When you consider Clark's brilliance in all aspects of her songwriting, it's clear that she is a true pop auteur in the vein of David Bowie or Prince. 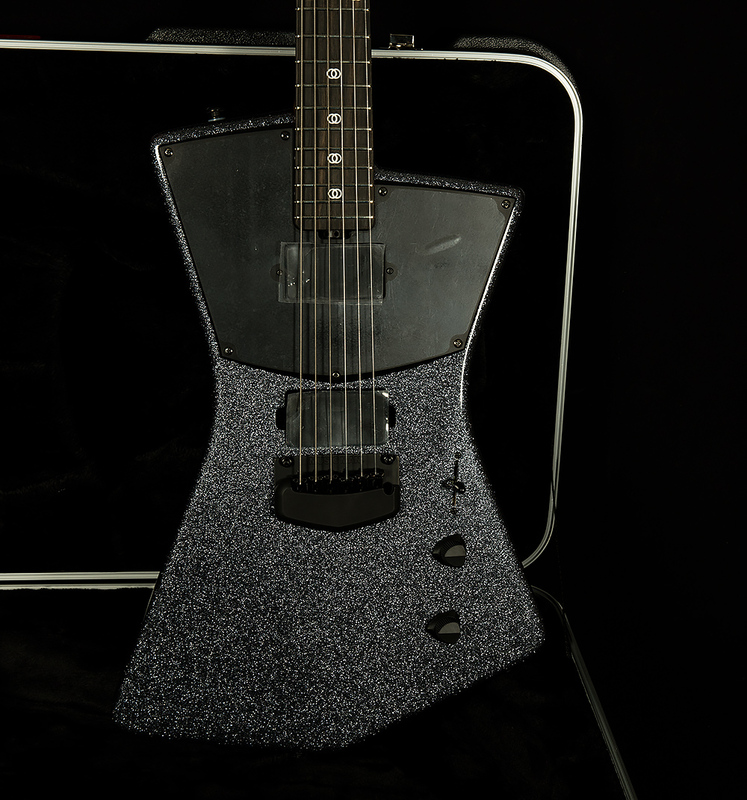 So, our friends at Ernie Ball jumped at the chance to work with her on a new signature model guitar. 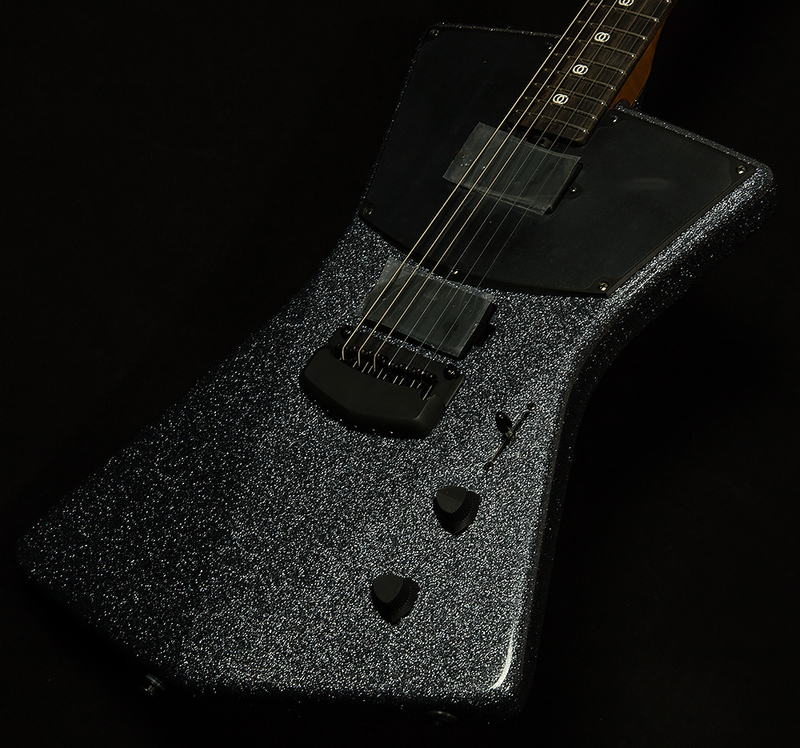 Wildwoodians, we are proud to present the fruits of their labors: the Ernie Ball Music Man St. Vincent Signature. Signature guitars are often the product of hours of discussion between artist and maker, but Annie Clark took an especially hands-on approach in designing the St. Vincent Signature with Ernie Ball. On her first visit to the factory, she drew a quick sketch of her vision, and the design has actually changed very little from her initial drawing. She also mixed the color for the first finish (appropriately named Vincent Blue) herself! So, the St. Vincent Signature really is a reflection of Clark's unique artistic vision. The body that Clark sketched on that visit to the factory is truly remarkable. Its shape allows it be remarkably light, and it hugs the contours of the human body nicely whether you are sitting down or standing. In fact, it's so comfortable to play that one of my coworkers sat down with it and asked me if it was short-scale. It's not--it's actually a full 25.5" scale--but it's so easy to access the St. Vincent Signature's upper frets (and its handfeel is so buttery) that you might get momentarily confused, too. It's so light and effortless that it feels like you're dancing with a ghost once you plug in! 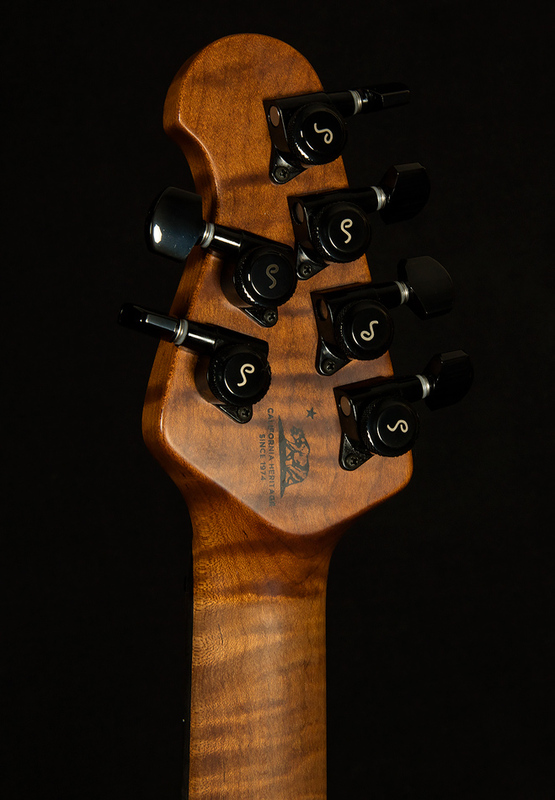 The aforementioned comfortable body is made of resonant lightweight African mahogany, an excellent building block for killer electric guitar tone. Many of the mahogany's classic traits are present here, especially the round attack and warm, woody, midrange-forward voice. So, the St. Vincent Signature's unamplified tone is lovely, but the two custom Music Man humbuckers are what really provide the secret sauce. Both the bridge and neck position produce warm, well-defined, articulate low-end, but there is not a hint of mud or flub anywhere. Above these well-mannered low frequencies, you'll find robust midrange response that (keep in mind that guitars are subjective) is more or less perfect to my ears. With electric guitars, you usually get two types of midrange response: punchy or broad. When the midrange sounds punchy, it's because there's a certain resonance in one area of the frequency spectrum that sticks out and "punches" the eardrum. By contrast, guitars with "broad" midrange have beefy response in the upper mids, lower mids, and mid-mids (we guitarists NEED a better word for the middle of the midrange). Essentially, the mids become the entire EQ. The St. Vincent Signature splits the difference between these two extremes. The mids are authoritative and full, but they are not lacking presence or cut, and they are nicely sculpted. Midrange is the most important ingredient to a good electric guitar sound, and the St. Vincent gets it exactly right. Furthermore, the high-end is uncommonly touch-sensitive. When you play with softer right-hand dynamics, the trebles sound glassy, smooth, and clear. As you hit harder, a nice blend of overtones starts to pop out of the strings, which gives the highs a pleasant chiming, sparkling tone. While many humbucker-equipped guitars with mahogany bodies have a lean, midrange-forward tone like St. Vincent, few have this much subtlety, sophistication, and dynamic response. And that's just the standard humbucker sounds! With the St. Vincent Signature, you can cop plenty of thinner sounds by putting the 5-way selector switch in positions 2 and 4. Position 2 activates the outside coils of both 'buckers in parallel, while position 4 utilizes the inside coils (also in parallel). 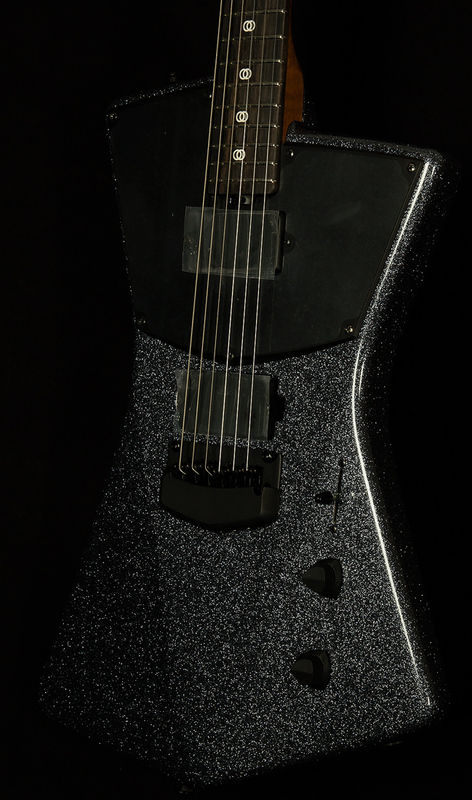 Speaking of which, position 3 uses both humbuckers in parallel as well. This creates a janglier humbucker tone with extra quack, so it sounds like a muscular duck! 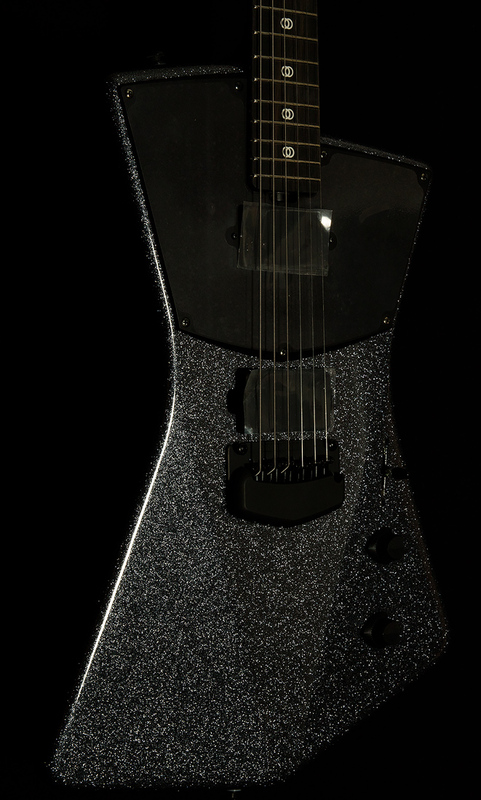 Of course, the Music Man St. Vincent Signature showcases Ernie Ball's tireless commitment to incredible build quality. Their state-of-the-art manufacturing techniques allow them to build guitars with ridiculous precision, and that results in world-beating playability. 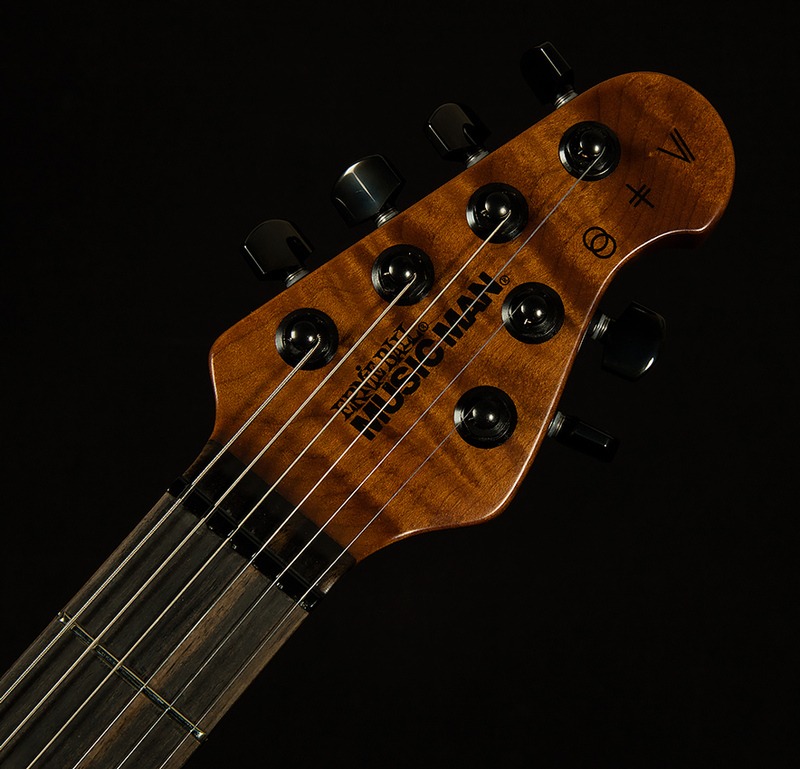 The thin, comfortable neck profile is home to a modern 10" radius, which is great for just about every playing style (ditto for the high-profile, medium width frets). I could rhapsodize about how wonderful the St. Vincent Signature feels to play, but perhaps the greatest testament to its playability and vibe is that Jack White decided to make it his go-to stage guitar. White, long known for playing beat-up pawn shop guitars with high action, recently had an epiphany and decided to switch to modern guitars that play easily. On the ensuing 2018 tour, White played a St. Vincent Signature every single night. It's truly rare for a guitar to play perfectly AND have enough vibe and mojo to impress Jack White, but our friends at Ernie Ball have done it with the St. Vincent Signature. We're proud to showcase such a glorious guitar for our exceptional customers. We know that its eye-catching looks, exceptional tone, and supreme playability will help you reach new heights on your six-string journey. We invite you to take one for a spin today and get inspired by the energy of one pop music's greatest artists.